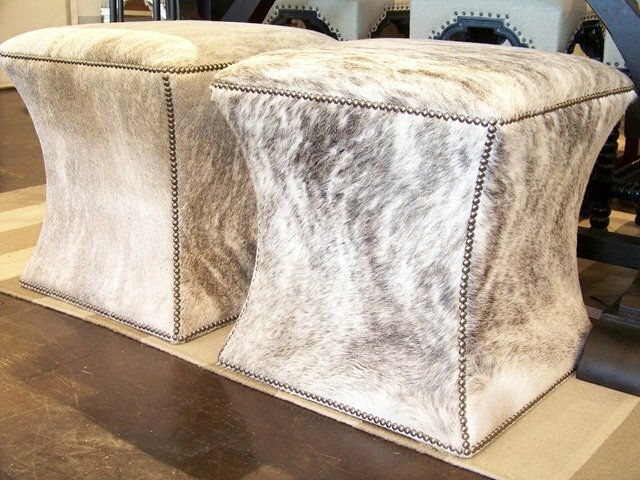 Our new hair on hide ottomans are a subtle and sophisticated way to incorporate animal print into your home. Hide has always been a timeless way to introduce texture into your space. The ottomans can be used as a pair in a living room area for additional seating. The white and gray ottomans feature a sleek silhouette that is accentuated by the pewter nailhead trim. The particular mix of hide mimics marble. 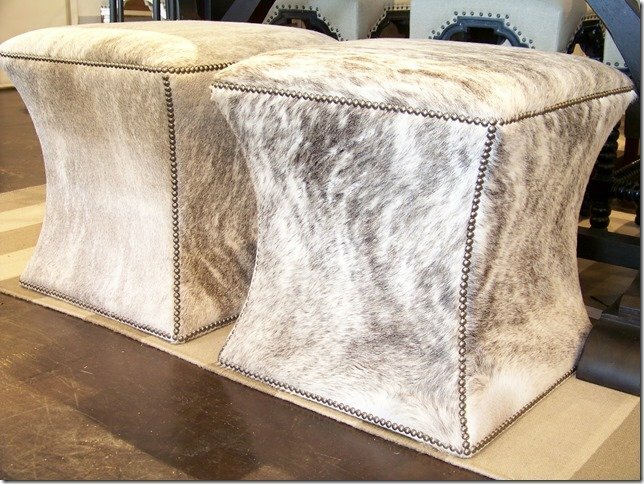 If you are fan of cool grays and neutrals, this is one chic alternative to bolder, darker hide ottomans. 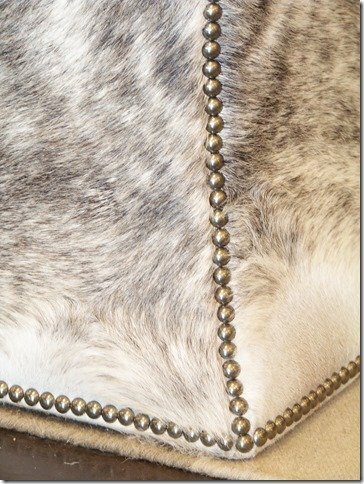 Below is a close up of the hide and nailhead trim. The dimensions of each ottoman is 20 W x 20 W x 21H and each ottoman sells for $949.99. The ottomans can also be special ordered in any fabric or leather. Visit our store to peruse our fabric options.